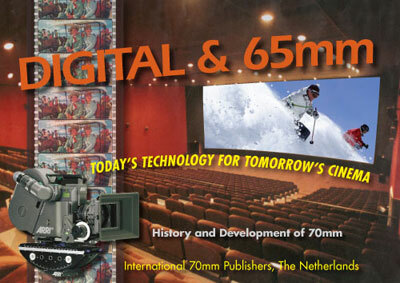 A new book + poster about 70mm film and presentation from International 70mm Publishers, edited and published by Johan Wolthuis. You can buy the book and poster separate. Quentin Tarantino's new movie, “The Hateful Eight” shot in Ultra Panavision 70, the largest 70mm format, has created a new future for filming with 65mm cameras and 70mm prints for large cinemas. 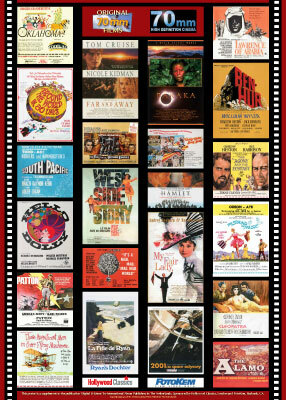 Read in this publication the related articles: Waking the Sleeping Giant (= 70mm) and the Return of the Roadshow, and extra page on Quentin Tarantino and Ultra Panavision 70.